Liz is a lifestyle blogger who writes about food, fashion, travel, and decorating your home on a budget. Her site can be found at Liz of All Trades. Whether you are just starting out in your first apartment, or your kids have grown and left, cooking for one can be a challenging task. Shopping for food, preparing your meal and even saving leftovers can seem daunting when it is only for one person. Often, you can end up eating a bag of popcorn or that same plate of basic pasta again and again. There are many ways to avoid getting into a rut and create some delicious healthy meals for one! Almost every grocery store sells some sort of rotisserie chicken. These are small, whole chickens come already cooked, often in some yummy flavors. They are relatively in expensive, usually between $3.00 and $10.00 depending on the size, store, and quality of the meat. It may seem counterintuitive to buy a whole chicken for one person, but you can actually get several dishes out of them. When you get home from the grocery store, carve it up while it is still hot and you will have chicken to last you the whole week. You can carve larger breast pieces for a nice dinner and smaller pieces to cut up in salads and pastas. Throughout the week you can reheat the chicken and simply prepare a side to go with it. This will give you the feeling of a sit down, home cooked meal without the hassle of defrosting and cooking chicken just for yourself. You can use the smaller pieces in salads for lunch, or shred them and make chicken tacos. Aim for 1-2 full plate meals (chicken, side and veggie), 1-2 salad or pastas with chicken added, and one alternative meal with smaller pieces (for example chicken tacos). If you plan these meals in advance you will be able to have dinner, perfectly portioned for one, in under 20 minutes each night. You can also cook and freeze the chicken if you think you will not be able to use it all before it spoils. Given how easy and cost efficient this is, rotisserie chickens are perfect when cooking for one. Rotisserie turkey can also be available depending on the offerings at your local store. By switching up the dish it is used in, you won't feel like you are having the same meal night after night. If chicken several times a week is not for you, consider cooking up a large batch of your favorite side or sides to store for the week. Cook up several servings of pasta, quinoa, cous cous or rice to store in the fridge for the week. Be sure not to add any sauce or flavoring! Each night you can take an individual serving of the side and add your choice of sauce and protein. You can get as simple or fancy as you want with this option depending on how much time you have. If you have time one night to make a cream sauce you could easily have pasta al fredo, or fry up some veggies for a nice tempura with rice. If you are rushed for time you can add some quick tomato sauce and cheese to pasta, or grill up a chicken breast to cut up and mix with cous cous and your favorite pre-made sauce. Again a little planning and creativity can ensure you don't end up eating the same thing night after night. Switch up your sauces, proteins and veggies to increase your meal variety. Just because you are cooking for one does not mean you shouldn't enjoy great recipes! Take a few minutes to divide your favorite recipes in half. Recipes are often written with four people in mind. By cutting it in half you will be making enough for a dinner and perhaps leftovers for lunch the next day. You can save a lot of money since you are only using half of the ingredients. After you make the recipe with your new measurements a few times you'll be able to cook it from memory without having to do on the spot calculations. Store a few of these recipes in your phone so that the next time you are in the grocery store you can pick up a few things to plan a nice meal for yourself. Try to pick recipes that take advantage of seasonal ingredients and you will be well on your way to delicious fresh meals. If dividing recipes isn't something you want to do, don't hesitate to make the full recipe. You can easily divide up the portions and have leftovers for meals throughout the week. You could also consider making a family style meal such as lasagna and freezing half of it. That way you have food for more than one week and don't have to give up the homemade aspect. Sign up for recipe sites and make it a point to try something new each week. By trying new recipes, you will be more excited to cook. It can be hard to get the inspiration and motivation to cook for just yourself, but by trying new dishes, it gives you something to look forward to each week. Make a weekly ritual to go along with your favorite TV show and you will really have a great meal and a great night! Meal subscription programs are growing in popularity right now. The appeal to them is that you get a set number of meals delivered each week to your door with fresh, local ingredients. Although you may think they are too pricey for just one person, the actual cost per portion is around $10. While this is a bit high, you would spend that much on take out. If you get three "meals" per week, you are actually getting six portions, which is essentially your dinners for the entire week. There are many different companies offering a range of prices and meal options. Check out BlueApron.com and Plated.com as they are two of the more popular services. They come with the full recipes and step by step instructions. If you find a dish you like, you can replicate it on your own, no dividing the measurements needed. If you absolutely hate the effort of cooking for just one person, consider a weekly "dinner night" with friends. Get two or three friends together and pick a night of the week. Each week one person will host and cook the main meal for the others. The guests that week should bring wine or dessert. Depending on how many people you include, you would only host every few weeks, but be guaranteed a home cooked meal once a week and good company to share it with. Consider adding theme nights to add to the variety. This is also a great way to test new recipes and get new recipes from others. Cooking for friends is always rewarding. Even if you are only cooking for yourself, make dinner special. Take some time to set the table for yourself, even if it is a TV table. Add some fresh flowers and use real plates and glasses. Consider picking up a bottle of your favorite wine (it will last longer if its just you drinking it)! Take the time to really enjoy and savor your food. Cooking for one doesn't mean you should microwave a meal every night and eat it off of a paper plate. Taking the time to really enjoy your food will make you look forward to cooking, and make you appreciate the effort that it took. Why wait for holidays with friends or family to make a big deal out of dinner? Any Tuesday is a perfect excuse for a well prepared meal! One really important thing for cooking for one is having great storage options. Its worth it to invest in some good quality containers. Glass containers are preferable to plastic, not just environmentally but in terms of how good your food will taste throughout the week. Additionally they are easier to clean and last far longer. 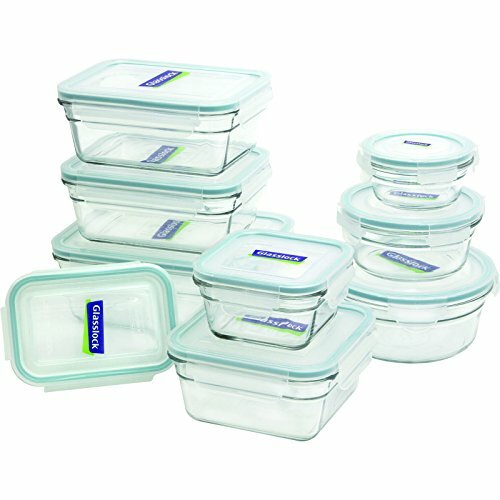 Having good containers will allow you to store leftovers or cook things such as proteins or sides in advance and keep them safe throughout the week. Regardless of which method you try, hopefully you realize that cooking for one is worth the time and effort. Even better? You don't have to worry about someone eating your leftovers!